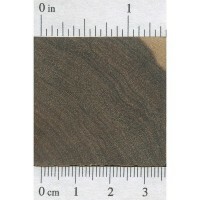 Color/Appearance: Color ranges from a golden brown to a darker reddish brown, often with black streaks throughout. Pale yellow sapwood sharply demarcated from heartwood. 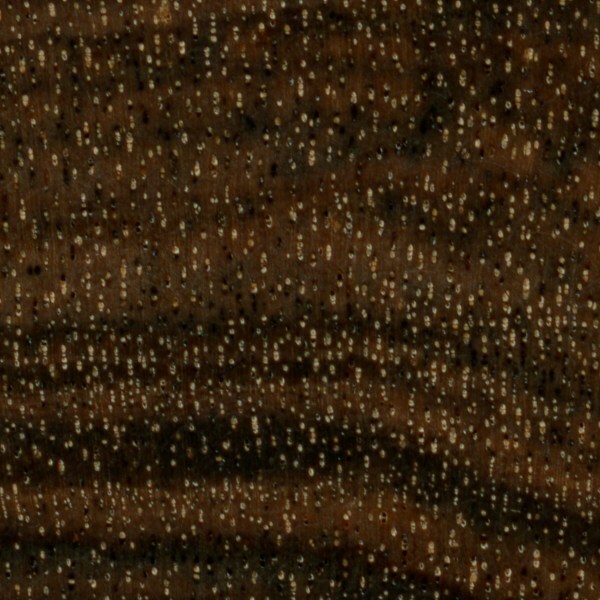 Occasionally figured pieces will be seen with subtle mottled grain patterns. Grain/Texture: Tambootie has a straight grain (though occasionally it can be wavy) with a fine, even texture. 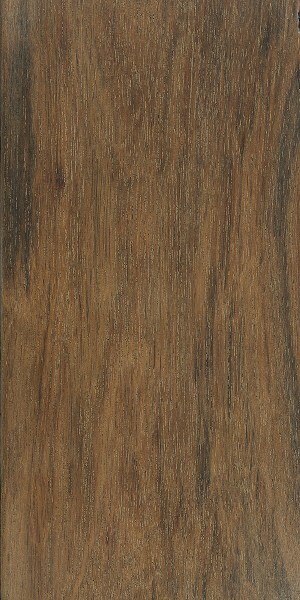 Natural oils within the wood help give it a high natural luster. 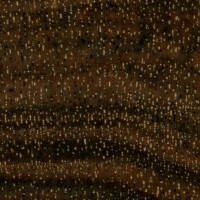 Endgrain: Diffuse-porous; medium pores in no specific arrangement, moderately numerous to numerous; commonly in radial multiples of 2-4; heartwood gum deposits occasionally present; narrow rays not visible even with hand lens, spacing close; parenchyma generally not visible with hand lens. 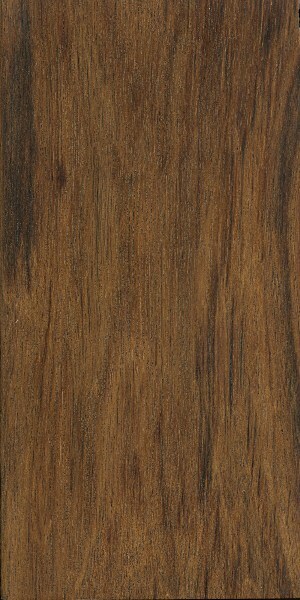 Rot Resistance: Tambootie heartwood is rated as being very durable, and is also resistant to insect attack. Workability: Overall, Tambootie has good working characteristics, and despite its high density, responds well to machining operations. However, blunting effect on cutters is medium to severe. Also, because of the presence of natural oils, the wood can be difficult to sand. Glues, turns, and finishes well, able to take on a high natural polish. Odor: Tambootie has a lingering scent that’s been described as sweet and pleasing, though it is also quite strong. Allergies/Toxicity: The sap from a standing Tambootie tree is highly irritating to the skin. The wood and sawdust has also been reported to cause eye and skin irritation. In extreme cases, there have been reports of blindness resulting from occupational exposure to Tambootie’s sawdust. The smoke generated from burning the wood is also toxic, and has been known to contaminate meats cooked over such firewood, resulting in diarrhea. See the articles Wood Allergies and Toxicity and Wood Dust Safety for more information. Pricing/Availability: Tambootie is a relatively small tree, and is becoming less and less common because of its valuable wood. Prices are rather high for an imported African wood, though not as high as other exotic woods from the region, such as Pink Ivory or African Blackwood. Common Uses: Carvings, furniture, turned objects, and other small, specialty wood items. Comments: Tambootie is prized in Africa as a decorative hardwood, used for luxury furniture and other high end applications. It’s frequently used as a substitute for Sandalwood (which is a vague term that may encompass any number of aromatic wood species in Africa and Asia). Tambootie is one of the few woods that ought to really be handled and worked with care, regardless of a person’s allergic resistance to other woods—its toxicity is well-known throughout its native range.